Cut outs here, cut outs there, cut outs everywhere. As summer winds down to its end, I am trying to wear every possible pieces of sheer and airy clothing. 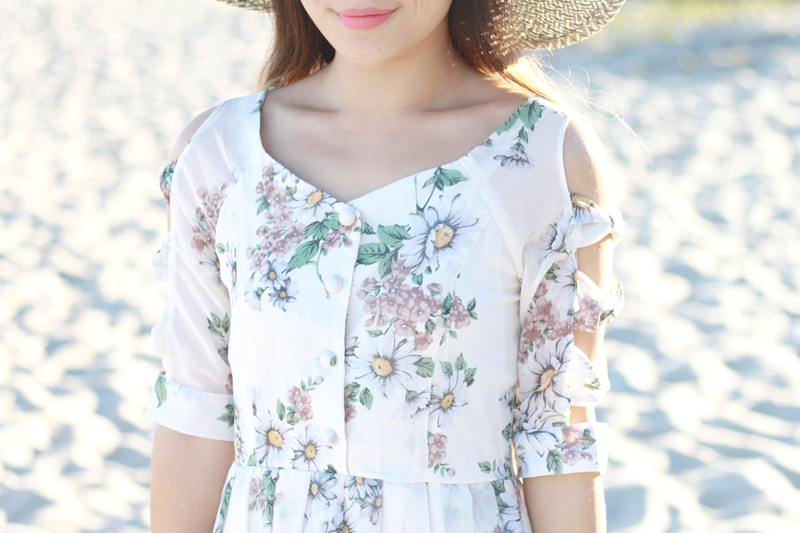 This floral dress is the absolute sweetest! I love the periwinkle and buttery daisies combined with the little mauve brown flowers. Those bow cut outs on the sleeves are darling and did I mention this dress also fits like a dream? I wore my periwinkle boots by Plomo to go with the dress (I love these shoes, I mean, how often do you see powder periwinkle colored shoes? 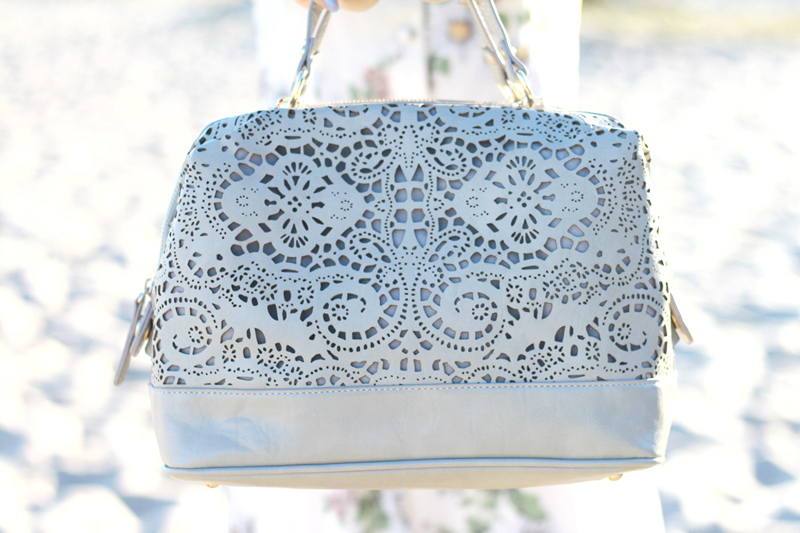 ), a gray sunhat with a giant bow, and this lovely gray satchel from Sole Society with the most awesome cut outs. 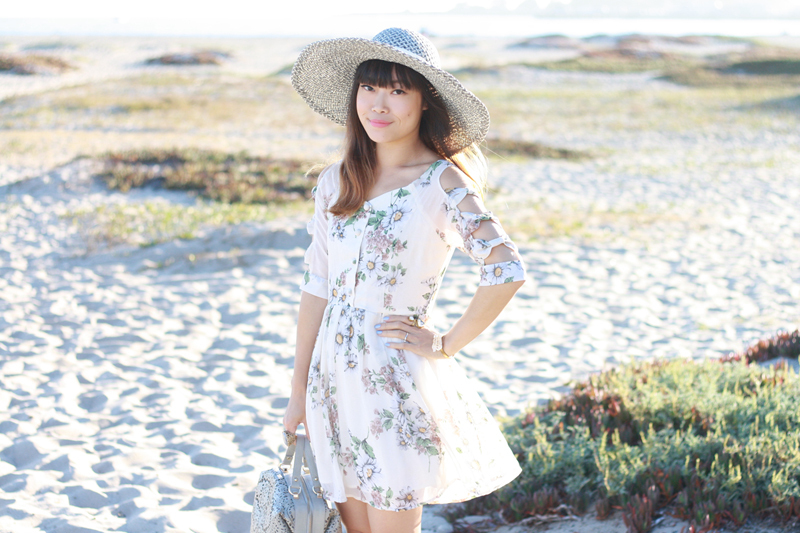 Floral chiffon dress c/o Chicnova. 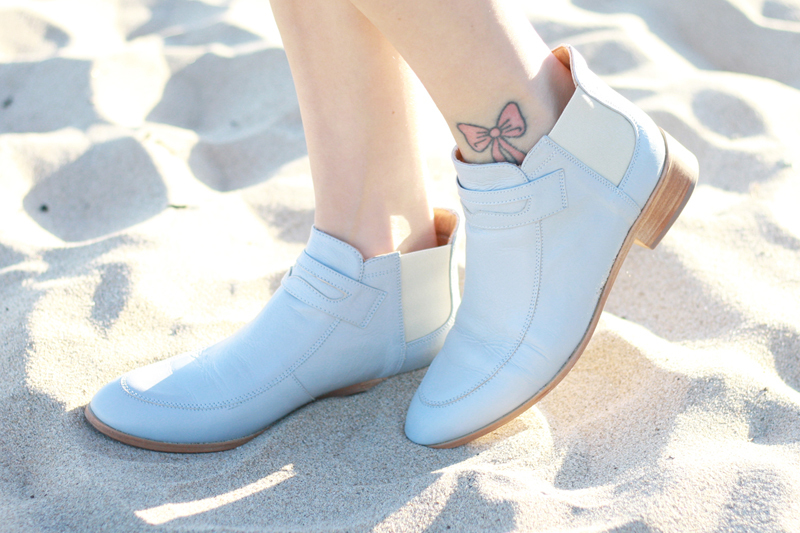 Simona loafer flat boots by Plomo from Solestruck. Gold plated druzy and pearl ring c/o KallisteNYC. Wire wrapped crystal cuff c/o Natalie Vivar. Oh my goodness I love your dress! 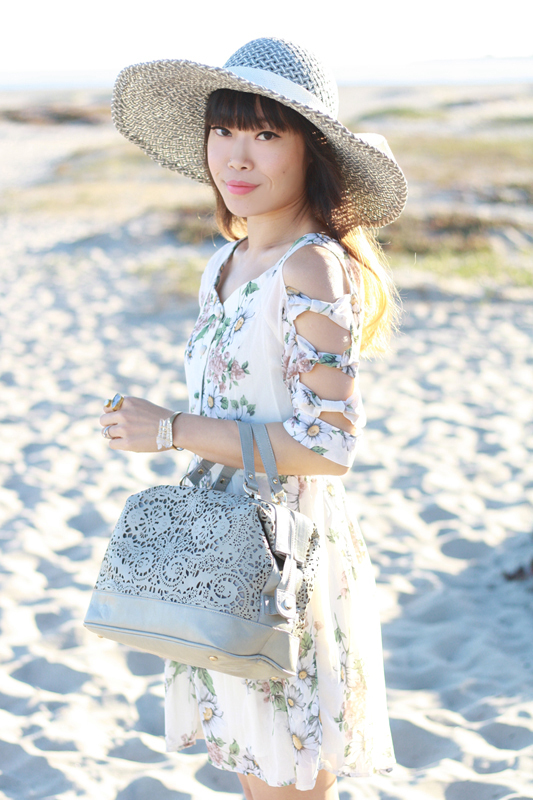 The print, the sleeves, everything. & your bag is adorable, I really like the color. So much in love with the dress!! Gorgeous! I love all the items and together they're even better! This dress is absolutely stunning. Love the cutouts in the sleeves! I love the 90s feel of this dress with the modern cutouts on the sleeves. It's adorable! This dress is just so fun and unique! I absolutely love the pattern and the cutouts are perfect!